Compatible: Requires iOS 7.0 or later. Compatible with iPhone, iPad, and iPod touch. The knight with no name takes adults and children on an unforgettable voyage of discovery in the picturesque town of Bozen. 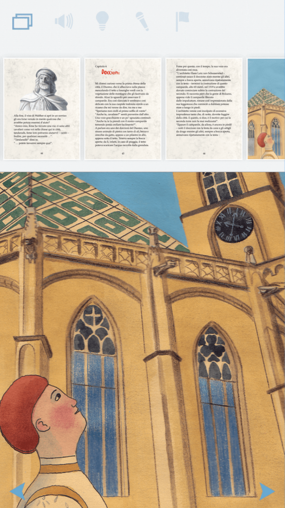 Experience the enthralling story of the original book, where new life is breathed into all original pictures thanks to harmonious animations in a newly created enhanced e-book in Italian and German. 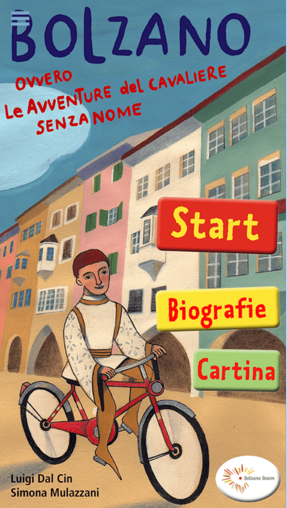 Exclusive-to-this-book app sound design will have you immersed in the atmosphere of the town of Bozen, too. In addition, you can record your own voice and put together an audio version for the whole family narrated by you. A great chance to experience and get to know Bozen in a new and innovative way with your family or at school. 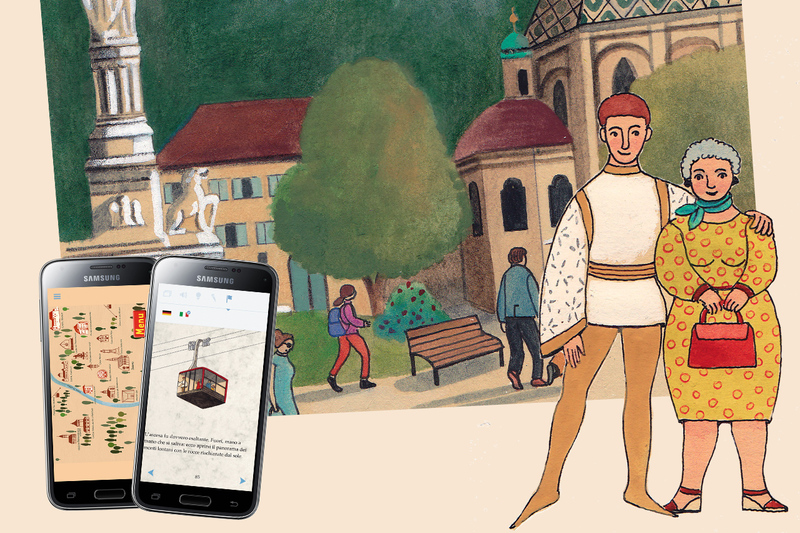 A knight from the Middle Ages, miraculously finding himself in present-day Bozen, wanders through the streets of the town in the search for his lost identity. On the way, he meets a number of memorable characters such as Walther von der Vogelweide, as well as talking animals and heavenly beings. They give the knight clues as to his past and show him the way to places in town where he can unlock the secrets of his past. Armed only with his courage, the knight with no name discovers the prettiest spots in Bozen and visits the churches, squares and streets there. In so doing, he gets to know the buildings of the town such as the Museum of Archaeology, Mercantile Museum, Natural History Museum and the castle of Schloss Runkelstein and learns a great deal about the town of Bozen. 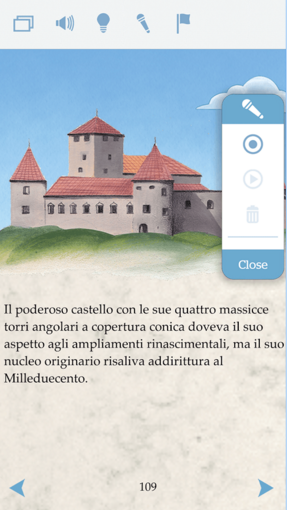 This enhanced e-book was developed along with the Tourist Office of Bozen. You have the option of recording your own voice. Sound effects specially composed for this app.